I was always drawn to rivers more than lakes as a child. The movement of them I guess signifies a flow of life. I was born and raised in the southern Delta flat lands of Arkansas with the large Arkansas river on its edge. While I appreciated its magnificence it seemed like an interstate with its travel system of locks and dams. I really fell in love with rivers as I discovered the Buffalo River in the hills of northern Arkansas. It’s clear running water and soothing sound of rapids spoke to my soul in a mystical way. I didn’t make many trips there but when I did it was magical and healing. A trip to a month long wilderness camp near the Salmon River as teenager forever forged the power of rivers in my soul. The busyness of work and life kept me from the rivers for many years. 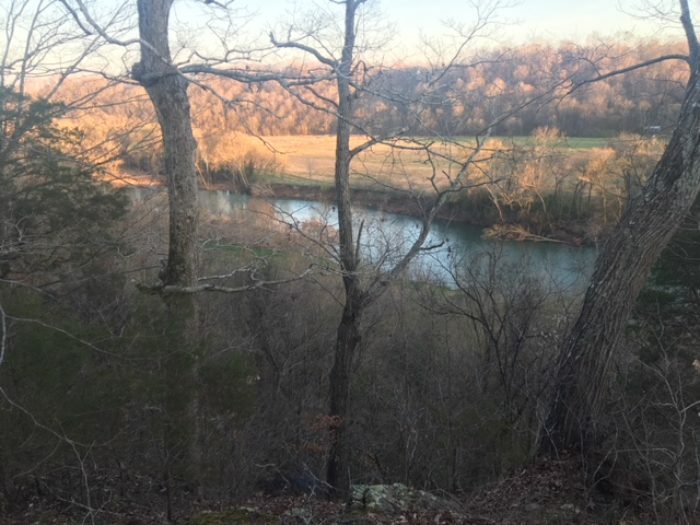 A series of events guided by a power greater than myself I’ll call the Creator led me to the hills of Tennessee in a small town called Kingston Springs on the Harpeth River. As our family canoed the river we were drawn to it. I saw a property for sale sign from the river one day and inquired about it. My daughter and I were looking to start an organic farm so I thought we might check it out. The owner showed it to me one weekend afternoon and his love for it became mine as well. I asked to go back alone the next day and as I stood on the riverbank and watched the day turn to dusk I felt the Creator say “this is it”. We made a loose agreement to buy it and the owner called a few days later and said he couldn’t sell it. I told him I didn’t blame him for keeping a piece of heaven. We ended up becoming good friends and he and some neighbors allowed us to start a certified organic farm-Harpeth Moon Farm- on the riverbanks in a field I named Mule Bottom. I spent countless hours planting hundreds of pollinator shrubs,clovers/native grasses and bringing the once GMO farmed ground back to nature and life. Our neighbors liked what we were doing and transformed their lands back to the natural as well. The challenges of a flood plain forced us to seek higher ground for our permanent farm on the river but to still love on our reestablished bottom. Another absolutely crazy series of events and hurdles led us to look at a piece of property for sale. We knew it was riverfront but didn’t know where on the river. It was an overgrown former cattle farm that some former renters had left in disarray. As the realtor and I drove around we ended up at the edge of the property where a rock road led to the river. He asked if I wanted to see the river which was why I was there. The river was the draw. We walked the long descent and hit the head high weeds but I could hear the river which was my guide. As I came through the weeds to the waters edge I was stunned. I was looking at the exact spot where 3 years prior I was told “this is it”. It dawned on me in that moment that when The Creator told me that I was looking towards this place! My wife, my son and his wife and my new grandson all came by that afternoon to look at it. I didn’t tell them where it was and let them walk down the path by themselves. My son called and said “do you realize where this is-we have to buy it!”. He was a former raft guide in NC and a lover of the rivers. We called my daughter who was still in Asheville NC apprenticing on farms and she said “if I can farm it -let’s do it!” So we bought the 40 acres I call Crow Mountain on the banks of the Harpeth River. We dove into cleaning up the place and loving on the land when I received a newsletter from the American Rivers of which I had joined. I was shocked when the Harpeth River was listed as one of the top ten endangered rivers. This set in my heart to support the Harpeth Conservancy that was a leader in helping save this river. As a landowner we are looking at ways to partner with them to educate the paddlers from our property about the continued battle to save this sacred place. My grandson and I recently planted trees along the banks to help stabilize it. There are mounds in our area that were built by indigenous people who once thrived along this river and the finding of arrowheads reminds us that we stand where they once stood. We are drawn here as well to the waters that allow our family to appreciate the natural beauty as they did. and to feel the spirit of the river.Our farming practices are to treat and love the land as the people before us did. We love to fish, paddle and swim in waters worth saving for our future generations. My grandson, Wilder is naturally drawn to this place and his sister Lily’s middle name is Harpeth as a statement to its meaning to our family. The thousands of hours I have toiled and walked these banks have brought a peace to my soul that is lasting and deepens on a daily basis. I feel one with this place as all our family does. There is a place on the farm overlooking the river we call Cemetery Hill where a dog is buried and where I want to be laid to rest one day. My grandchildren and their children deserve to enjoy these waters as we do. I want that to be our family’s legacy. That we were stewards to this land along the banks of the Harpeth River in the hills of Tennessee. This river is life and life is a river. It’s a life worth saving.